PRICE REDUCED! Why wait for a home to be built when you will absolutely fall in love with this spectacular 6 yr old pool home with beautiful pond views on a spacious lot. This Home has lots of bells & whistles and is located in the beautiful New Tampa Community of Basset Creek only 7 min from I-75. 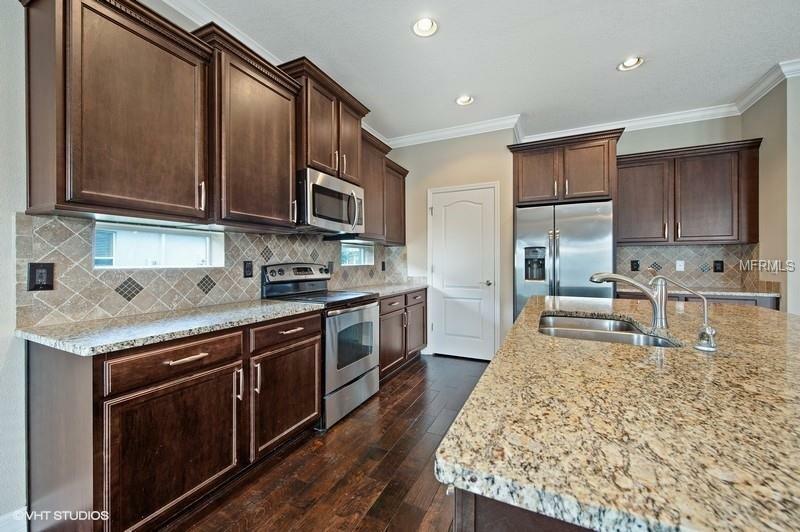 Enjoy the perfectly selected kitchen which has beautiful cabinets, backsplash, granite counter tops, oversized Island, & all stainless steel appliances. 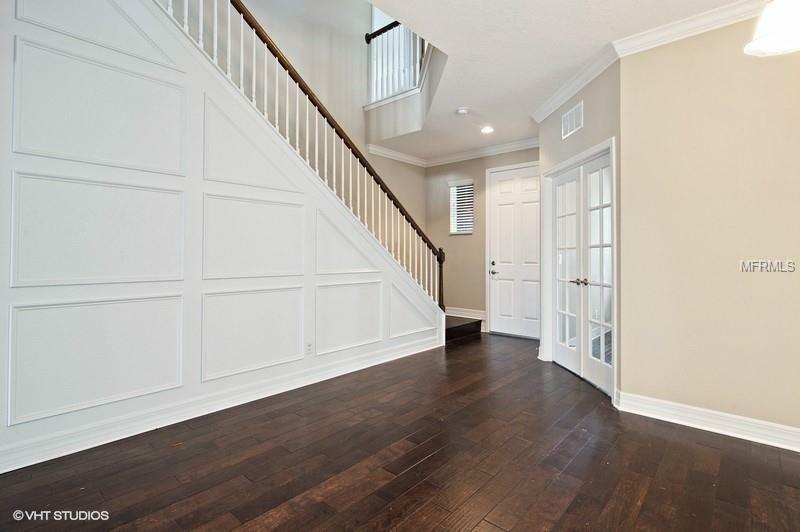 You will absolutely fall in love with this spectacular & spacious great room with seperate dining room, all adored with wood flooring, crown molding, beautiful wall/window trim and wooden staircase details. A den with french double doors provides flexibility along with a convenient 1st floor bedrm with full bath perfect for inlaws or visiting guest. The bathroom is also perfect as a cabana bath for easy access to & from pool, which also has french doors leading to the outside covered lanai. The 1st floor includes an additional half bath with pedestal sink and a nice size laundry room with storage availability. The upstairs Owner's Suite with leading double doors is simply large and in charge with dual walk-in closets. Enjoy a spa-like bathroom with garden tub and separate walk in shower. 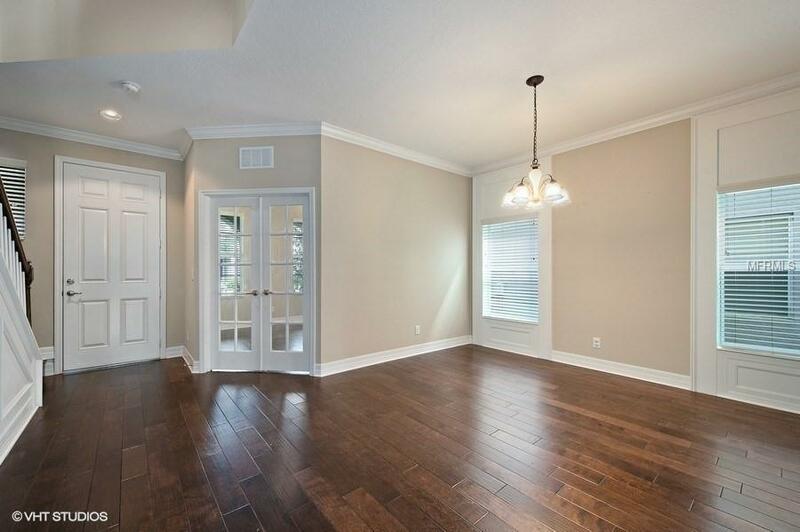 A large bonus room with surround sound is perfect for family gatherings & movie/game night. This beautiful home is perfect, providing quality luxury so many desire and work so hard to enjoy. 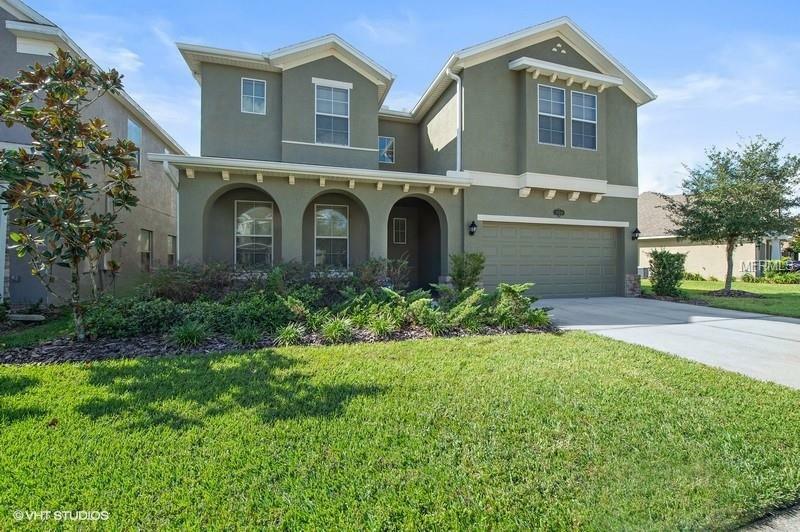 Top rated schools, regional library, 2 nearby malls, shopping, dining, USF, and more! Additional Lease Restrictions Please Contact Hoa To Confirm This info.